100% handmade, natural and free from glycols, chemical preservatives, synthetic fragrances, petrolatum and its by-products. Our new range of lip balms are made of beeswax, coconut oil, avocado oil, almond oil, shea butter with a tint of lip safe color and flavors (cosmetic grade- USA FDA approved). It is buttery, soft and slicks on your lips. It gives more of a every day wear natural look rather than glossy sheer. 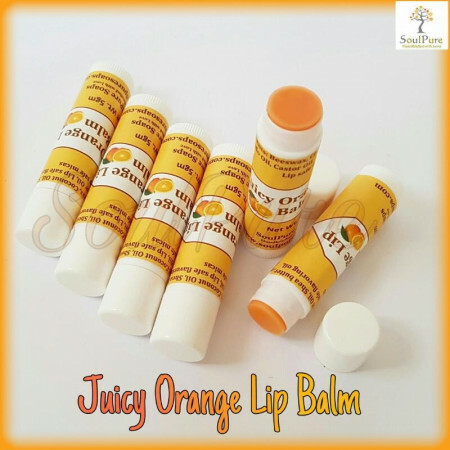 At all seasons, this is going to supplement with long lasting moisture to soothe the dry chapped lips. This lip balm recipe will lock in moisture and indulge your fruity sweet tooth. Smooth to glide, subtly aromatic, packed in a twisty tube- Orange flavor.